Do we Really Need Certain Apps for our PC? With both OSX and Windows now featuring an app store we can now get many of our favorite applications all in one place and with peace of mind when it comes to security. I have been using Windows 8 for some time now and one of the apps that I use is the Netflix app. The app has been somewhat buggy as of late, but over all it seems to get the job done. I finished watching an episode of Mythbusters and then went off to run some errands. I came home later and jumped onto my Macbook and started working. A hour or so had passed and I decided that I wanted to watch another episode of Mythbusters. I started to head to my web browser when I suddenly stopped and wondered if there was a Netflix app for OSX, something similar to what Windows 8 has. I quickly opened the App Store and searched for Netflix, only to find that it doesn’t exist. I thought that it was kind of strange considering OSX has been around for a while and it seems like it would be useful. I quickly began to realize that the lack of a OSX Netflix app isn’t actually that big of deal. I only need to click a bookmark in my web browser and I have access to all of the content and features that any app would have. Then I started to question the need for apps like these in the first place, at least for your laptop or desktop. What’s the difference between an app on my desktop vs a link on my desktop that takes me to Netflix? Where is the benefit? With new web browsers that harness the power of our machines more than ever by making use of our GPU and extra processing power, why bother with an app? I am looking for any opportunity that can save disk space and the lifespan of my SSD. 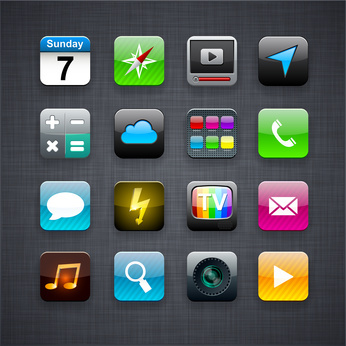 What makes the web based app more appealing is the fact that it’s often more reliable. I mentioned earlier that I have been dealing with quite a few bugs since I have started using the new Netflix app, but when it comes to the website, I have had virtually no issues. Some of this could be due to the website being around much longer than the app and therefore less buggy. Why bother with the app at all when we seem to be moving toward a cloud based world? If we are trying to create a much more seamless experience then why leave the browser that we spend so much time using, just to open an app? The answer isn’t so clear at this point, which is why the pros don’t seem to know either. This is basically the wild west era of the OS and everyone seems to be trying a little bit of everything and then waiting to see what consumers end up doing. We can always look at things from the other prospective, which seems to be a movement away from the web as we know it today. Maybe we just make everything an app, including all our favorite websites and instead of downloading them, we just launch them from the cloud. Perhaps, we can just get rid of the web address altogether and then just use google to search for apps instead. Who knows how strange things will become and how practical any of this actually is. One thing is for certain, we are in the middle of a long evolution that will leave us with a much different computer experience than currently we have today. We are stuck in a phase between old and new and it feels weird but I think were headed in the right direction, it’s just going to take another five years or more before we can fully adapt this new way of doing things. It is ultimately up to us, the consumers, to figure out what we want. If we don’t buy it, it won’t continue to exist and so we ultimately decide what works and what doesn’t. So what do you think? It’s official, StarCraft® II: Heart of the Swarm™ will be released to the masses on March 12, 2013, but you don’t have to wait to buy it. You can pre-purchase the new Starcraft expansion now by logging into battle.net. The expansion will cost $39.99. 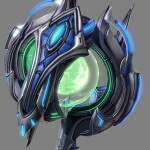 Heart of the Swarm is the first expansion set to Blizzard Entertainment’s sci-fi real-time strategy game StarCraft® II: Wings of Liberty™. Heart of the Swarm continues the epic story from Wings of Liberty with an all-new campaign that focuses on Kerrigan, the former Queen of Blades. This expansion will feature 20 new campaign missions, new gameplay mechanics, new multiplayer maps, new units, and new pre-rendered cinematics. 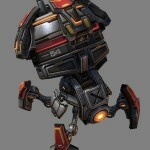 The Shredder is a new unit built from the Factory that allows the terran player to control the battlefield. In its mobile form, the Shredder has no attack — but when set to stationary mode, it channels area-effect damage to both the air and ground. If a friendly unit enters the range of the Shredder, the weapon shuts off. 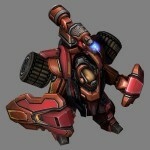 The Warhound is a small, walking ground mech that wields an effective anti-air weapon with splash damage, much like the Thor from Wings of Liberty. The difference is that the Warhound is smaller and much more nimble, though it gives up some range on its anti-air missiles in exchange for this mobility. 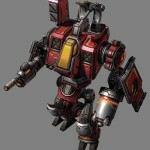 The Warhound also wields a small ground attack weapon that does additional damage to mechanical units, making it particularly well suited to taking out enemy Siege Tanks — though it’s not particularly effective against non-mechanical units. The Viper is a new flying unit with three unique abilities. Blinding Cloud temporarily reduces the attack range of all ground units inside the cloud to melee range, and prevents energy-based abilities from being used. Abduct allows the Viper to physically pull a unit to the Viper’s location. Finally, the Viper has a one-time ability called Ocular Parasite, which allows it to detach its eye stalk and meld it onto any friendly, non-massive unit, turning that unit into a detector. 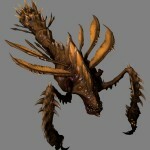 The Swarm Host is a slow-moving ground unit that has no standard attack. When burrowed, the Swarm Host spawns a continuous stream of slow-moving melee units called Locusts that can be used to lay siege and pressure entrenched enemy positions. 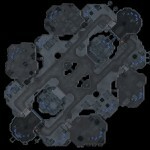 The tempest is a new capital ship that deals massive area-of-effect damage to air units. It also has a standard ground attack, but its chief role is to help gain air superiority. 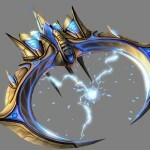 The Oracle is a psionic warship, built from a Stargate, that uses several unique abilities to raid and harass the enemy. The first is Entomb, which can temporarily block mineral fields from being harvested. 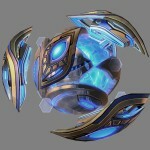 Another ability, Preordain, grants vision of a targeted enemy building, allowing the protoss to see which units or technologies are being researched. Rounding out its kit is Phase Shift, which phases a target building, preventing it from being attacked, using its abilities, or granting technology. Not only can structures like missile turrets be prevented from attacking, but using this ability on a zerg Spire would block the production of Mutalisks, Corruptors, and air upgrades. Replicants have one ability: to transform itself into any non-massive unit. 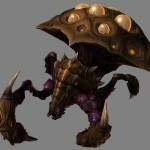 They’re expensive, so cloning a Zergling would not be very cost effective, but transforming into a specialized unit like a Raven, Infestor, or Siege Tank could open up interesting strategic options for the protoss.